This time we will discuss about the various shape of unique decorative pillows ever exist. Maybe you will interested to buy it or produce it yourself. Please remember, this is just a review, we do not make or sell it. These various shape that we found, then we summarized it all on several page for you to see and compare easily. Hopefully you can find a kind of pillow that suitable as a decoration of the living room or just for your collection. How nice to fall asleep among the piles of granite stones like the picture above. This pillow is suitable for small or large room size (whether there is a mattress or not). 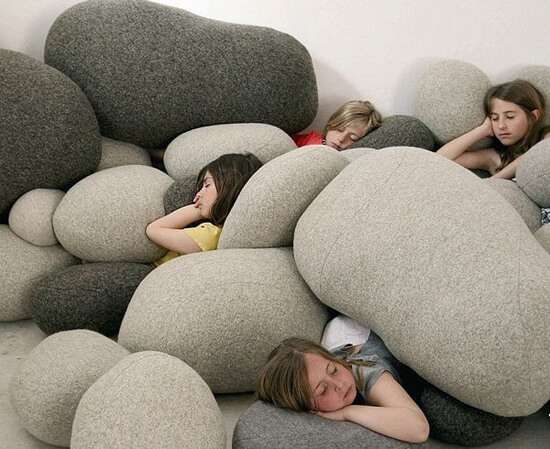 No need to fight over the pillows to sleep soundly even “lost between the rocks”. These pillows fit to be displaying in the living room as decorative pillows or as a tool for playing hide and seek for your children. This pillow is not suitable for the health of the neck because when you wear it, your head will be positioned in a higher condition than it used to be. Your blood circulation will not flow to the brain perfectly. This kind of pillow seems only suitable for display. Imagine if it used for you to sleep, how much room or mattresses that is suitable for the pillow? Even if you can enter the room how hard to clean it later? 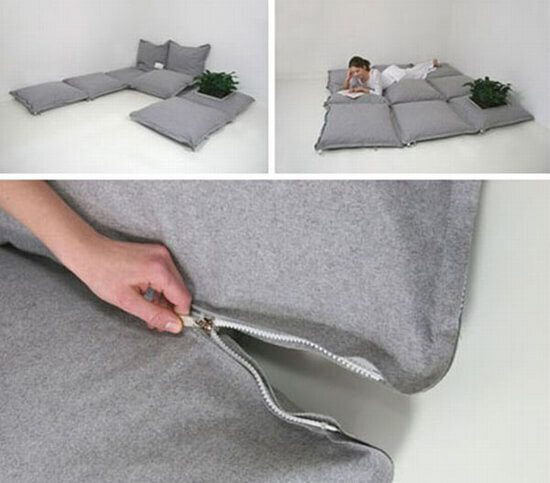 This pillow can turn the function into a giant bolsters or even a mattress. But this pillow is only suitable for the festival or exhibition because if this pillow is use to sleep every day, it will make a complicated way of maintaining the pillow. 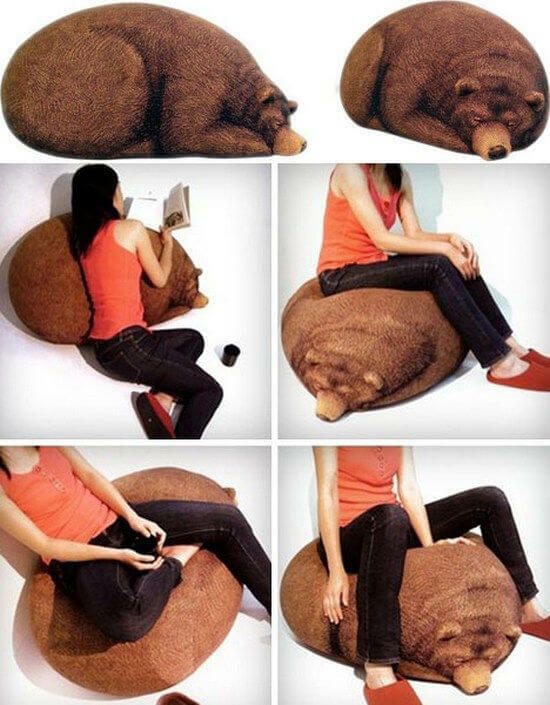 This bear floor pillow like a hibernating Bear. This can be use for chairs or decorative ornaments. If used for a sleeping pillow, it does not seem to be suitable, because of the height of the pillow it is not possible to lay a head properly while lying down to sleep. But remember, little kids may be afraid to see it. Although the bear is seen asleep, the pillow is quite frightening. This multi functional pillow can be use as a headrest during sleep, can also be use as a mattress or sofa. A very large size, perfect for people who like sitting in front of the TV. But this pillows not suitable for traveling, unless you go with a truck. 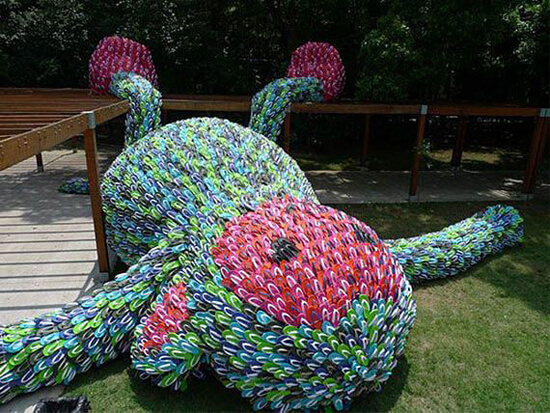 Although the maintenance will be quite inconvenient, but its worth for the function. This pillow can not be folds if the material content is silicon fiber or latex. Now there are air-based products that can be pumps when it will be use and can be folds when it will be stored. 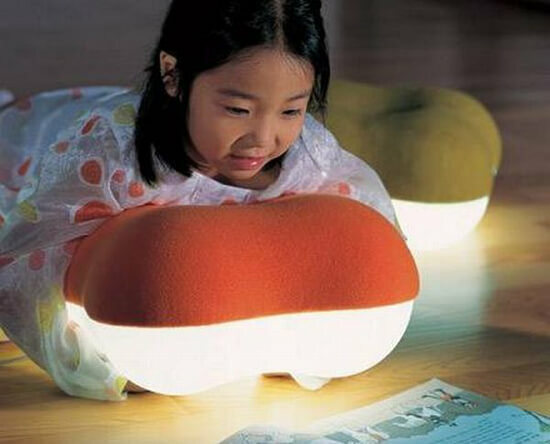 This pillow is only suitable for children or people whose are diligently studying. It can shine like a desk lamp. If you are a lazy person, then you are not fit to be given this pillow. it will be simply damage because if it used for other purposes, such as illuminate the kitchen or the attic. 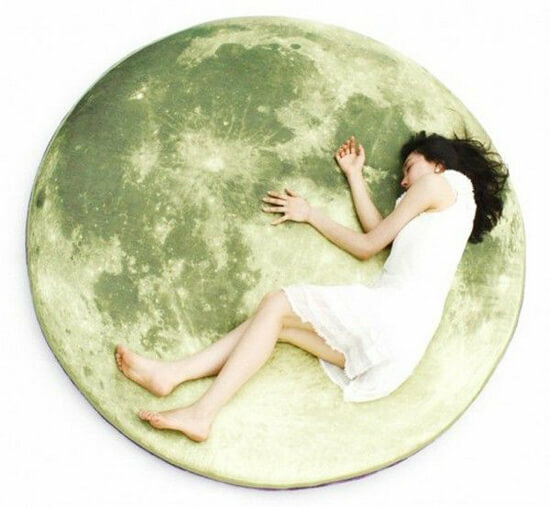 By using this pillow you will feel to be the fourth astronaut who has landed on the surface of the moon. This pillow is only suitable to be installing on the floor, not on a bed or mattress. This decorative pillow would be nice if seen from above, It would be a good background to take a selfie from above. This pillow is more like a carpet because of its low level of thickness. This pillow shape is unique and very interesting. Its giving rise to certain imagination. The buyers of this pillow can be usually a men who are little dirty mind or like to waste money. Remember, Do not let the skirt off, it will make you unable to sleep all night. This unique pillow is not appropriate to be displaying in the living room or exhibition space. This pillow is only suitable to be store or use in private space. Do not get caught by your girlfriend! 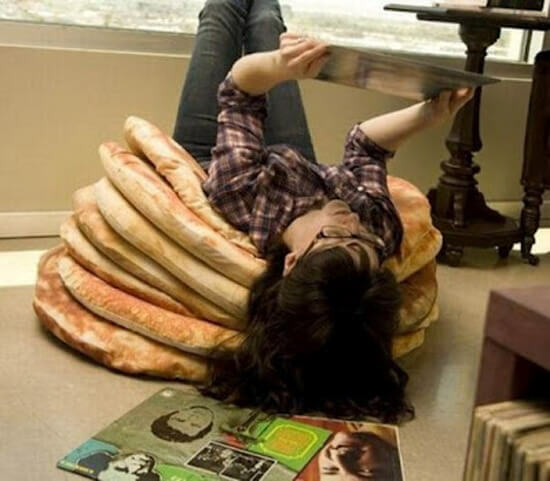 The idea of ​​making this unique decorative pillows may come from someone who loves to eat a burger, These unique decorative pillows can be stacks like a burger. These pillows are only suitable for toys or used together at the same time. But if the wrapping cloth is too slippery, this pillow will be hard to set and the shape will be like a scattered burger. Then, After successfully stacking the pillow to resemble a burger, maybe you can input meat, tomato, mayonnaise and so on, as you like. Note: Don’t heated in the oven. For you, lovers of minimalist design, this pillow set is suitable for those who have a small room or living in apartment. This set of pillows can be turn into chairs or mattresses. This kind of pillows have two specific functions. If there are guests coming, you can be told her or him to sit on a mattress that resembles this pillow. And if there are guests want to sleep, you can be told him or her to sleep on pillows that resemble this mattress. 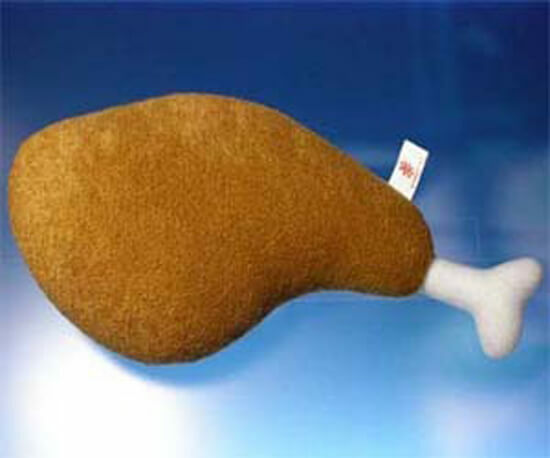 This pillow is perfect for you or a kids as chicken meat enthusiasts. This pillow is also very decorative to fill your living room or dining room. Even the half side is big, the small side is suited for your sleeping. If you are starving and there is no food stock, this pillow may be eaten at any time with your consequences of sleeping without a pillow anymore. To be continue to the next unique decorative pillows article. Hope you enjoy, like we did.